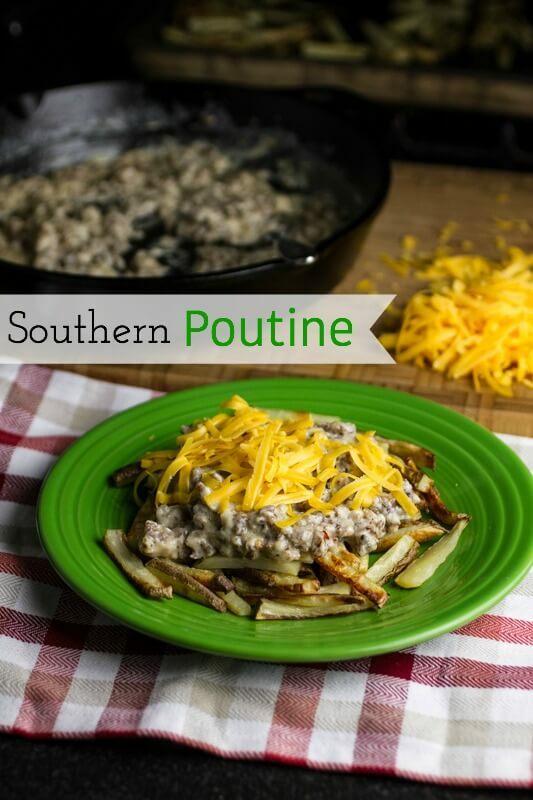 Southern poutine. 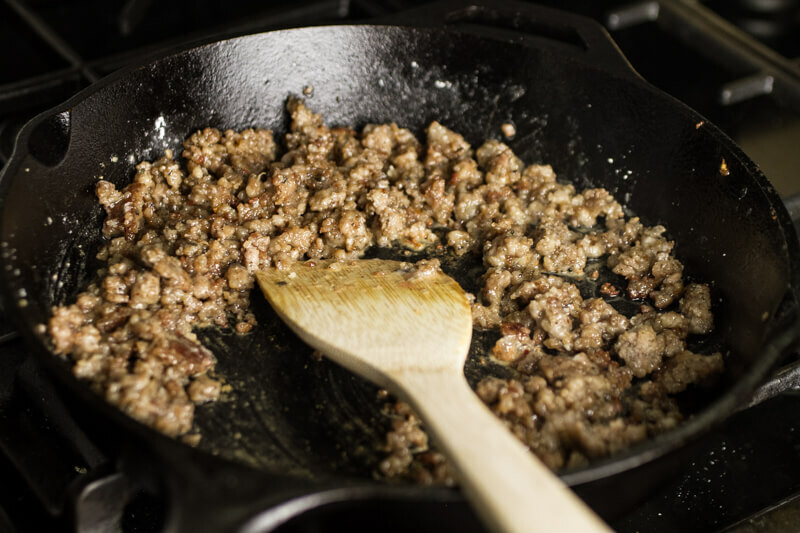 With the best kind of gravy on earth, sausage gravy of course. On top of baked fries. And with cheddar cheese. What is Southern poutine, you ask? Or perhaps you are just asking, “What is poutine?” Until a few years ago, I would have asked that same question. Then we got the Cooking Channel and they cleared that up for me, because it seemed that every other show made mention of the Canadian dish comprised of French fries topped with brown gravy and cheese curds. You guys, I’d never even seen cheese curds in my life, let alone heard of something called poutine. Come to think of it, I still haven’t seen cheese curds, never in my life to this day. They just aren’t sold around these parts. Sweetwater Valley Farm, an hour or so away from me, sells cheese curds, but the one time we went there they were out. 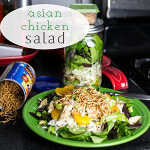 And when you are dying to try out a dish but you can’t find the ingredients you need, you have to get creative. Poutine has a cousin from right here in the States known as disco fries. Disco fries are fries covered in chicken gravy and, instead of cheese curds, melted cheese. That made me start thinking…since I can’t make poutine with cheese curds, maybe I could make something “poutine-ish” with regular old cheese. Then it struck me….Southern poutine. 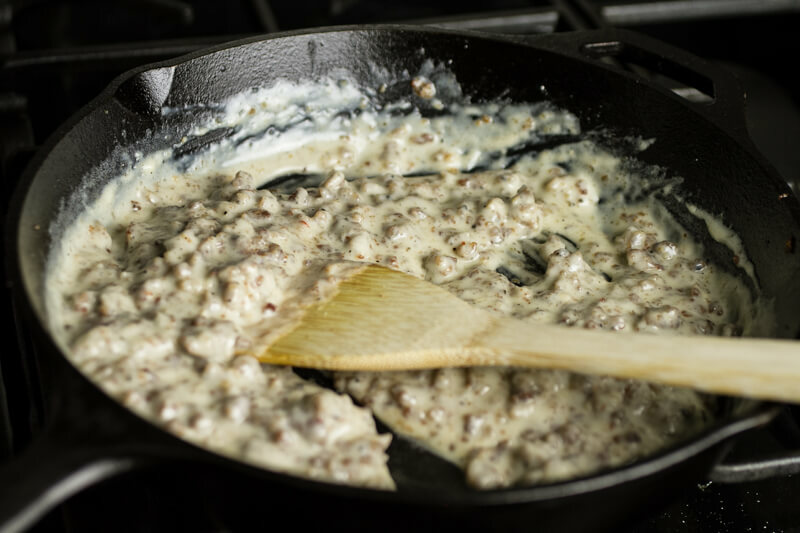 With the best kind of gravy on earth, sausage gravy of course. 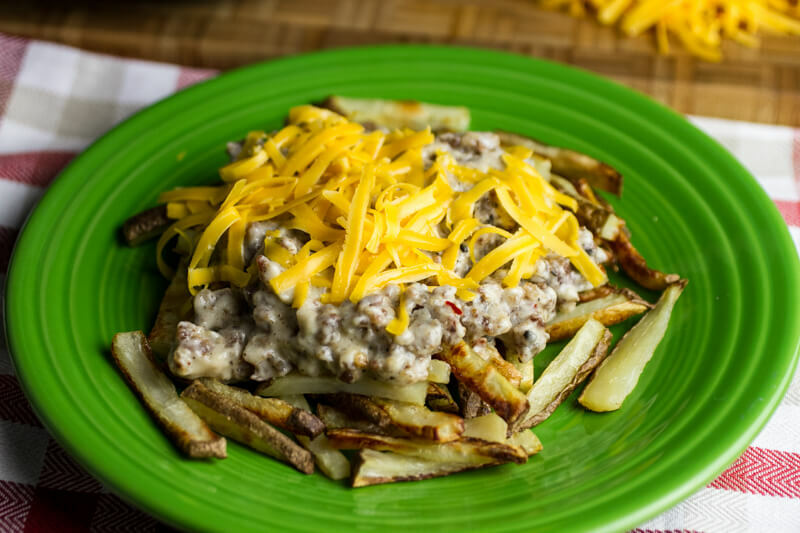 On top of baked fries…you know, to offset the sausage gravy. It totally negates the calories. Totally. And cheddar cheese. This was a decision that I did not regret. It was fantastically delicious. You guys, I am going to start a food truck and I’m going to cover everything with gravy. I’m going to call it the Gravy Truck. Or just Gravy. And I’m going to serve Southern Poutine. And maybe regular poutine. And disco fries. It’s far from traditional, but Southern poutine is certainly tasty! Preheat oven to 450 degrees. Preheat 2 large baking stones or baking sheets in the oven. Bring a large pot of water to boil. Add 1 1/2 teaspoons salt. 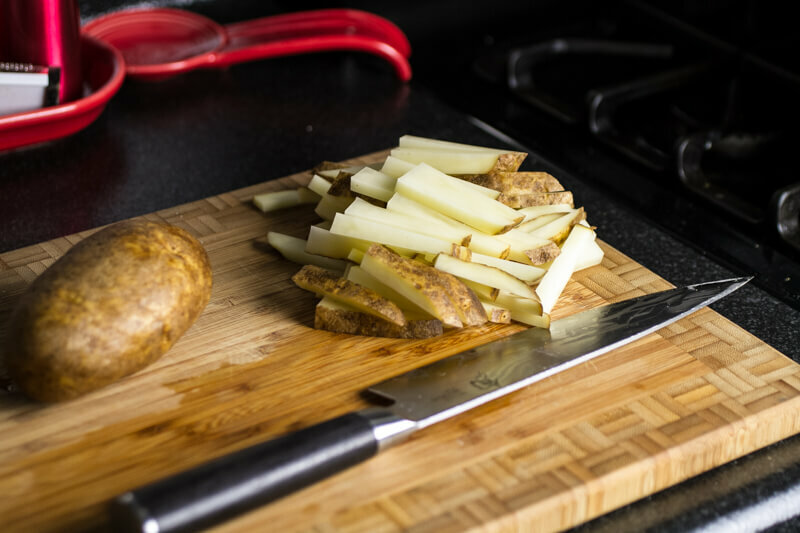 Cut potatoes into thin strips. Add the potato strips to the water. Boil for 3 minutes. Drain in a large colander and allow to sit for 5 minutes, shaking the colander occasionally. Divide the potatoes between the two preheated baking sheets. Spray with olive oil spray and sprinkle with salt. If you do not have an olive oil sprayer, toss the fries in a large bowl with the tablespoon of olive oil and the remaining salt then divide between the preheated baking sheets. Bake for 25-30 minutes, turning every five minutes until browned. 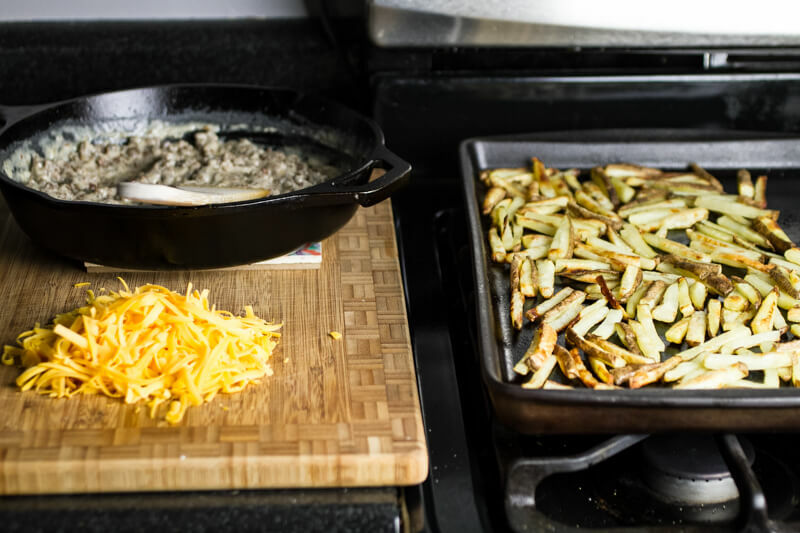 While the fries are cooking, brown the sausage in a large skillet. Sprinkle with the flour. Stir in the flour and allow to cook for 1-2 minutes. Pour in the milk gradually, stirring until completely combined. Allow to cook until thickened. Season with salt and pepper to taste. Divide the fries among 4 plates. Top with the gravy then the cheese. Serve immediately. 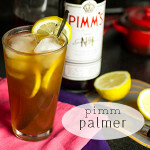 This recipe is easily halved! 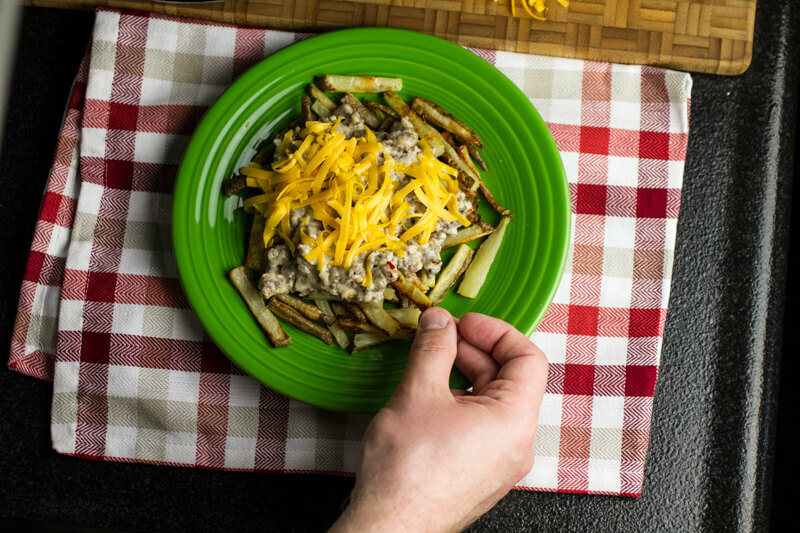 Click here to print the recipe for Southern Poutine! I think I had poutine once in Nashville. I used to follow a Candian food blog, and I was always lusting over the poutine. My dad always ordered fries with gravy ... makes my mouth water. I had never ever heard of eating fries with gravy until I heard of poutine. This stuff is so so so good. I need to try the real thing! Disco fries?!! I've never heard of those in the midwest! But these look SO good! They were-I wish I had some right now! This post has made me incredibly hungry. I've never made poutine before but now I really want to, AND it's a recipe I know my husband would love. I hope you'll try it! If you do, let me know how you like it! You should paint your truck to look like a train and call it, "The Gravy Train" I mean you live in Chattanooga after all. There may be copywright issues though. Nah, I don't think so. Great idea!